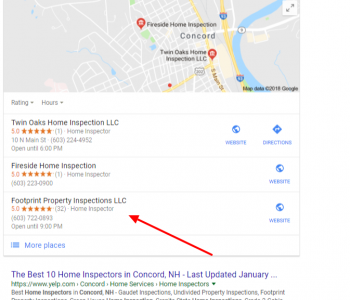 If you read on you find the results you would most likely find for NH home inspector reviews when you type it into search. This article goes over the different review sites you will find. I can tell you from experience as a business owner in NH, not all review sites are created equal. Some of them will not even post your reviews unless you pay them for advertising. In the end, I guess you need to go over them all and make a decision on who to trust. So you do a search looking for NH home inspector reviews. The best results are a few companies that put together a group of inspectors like Thumbtack, Home Advisor, and Yelp. Of course, there is also Google the big one. Facebook is probably the biggest on a social platform. Not all the sites are free for the home inspection business. Some you need to pay for advertising if you want them to post reviews. It is unfortunate the biggest one found in the search is Yelp. You will read later why I am not so excited about them. They also take up most of the page with 4 organic search results. When I list below Paid and Not Paid, I am not saying that the business would actually pay for the reviews. All it means is that the home inspection business would need to pay for advertising or some type of lead service from the companies I list. Also, some of the home inspection business could have paid at one time and now they show up is search. A great spot to find NH home inspector reviews is Google! The thing I love about Google reviews is that Google will not contact people to get the reviews. Other companies will contact the customer to have them do reviews. The way I look at it is if someone wrote a review on google it is a little less biased. Now that does not mean the business owner can not ask their clients for a review. But if you think about it the client could leave a bad review very easily. I have received some reviews over the years. You can always see the reviews on the google map like here for Footprint Property Inspections on the Map. I can tell you I am really proud of my reviews on google with 5 stars rating. The beauty is there is no incentive for them to write a review. I know they were happy with my service. You can find us in the 3 pack in the google maps section. This is a cool feature for people on mobile phones because this list is generated from the location you are at with your phone. Facebook reviews are also as organic as Google. They are not requesting them. Same applies that the business owner can ask people for the reviews. Like, google this offers a chance that the person could write a bad review for the business! 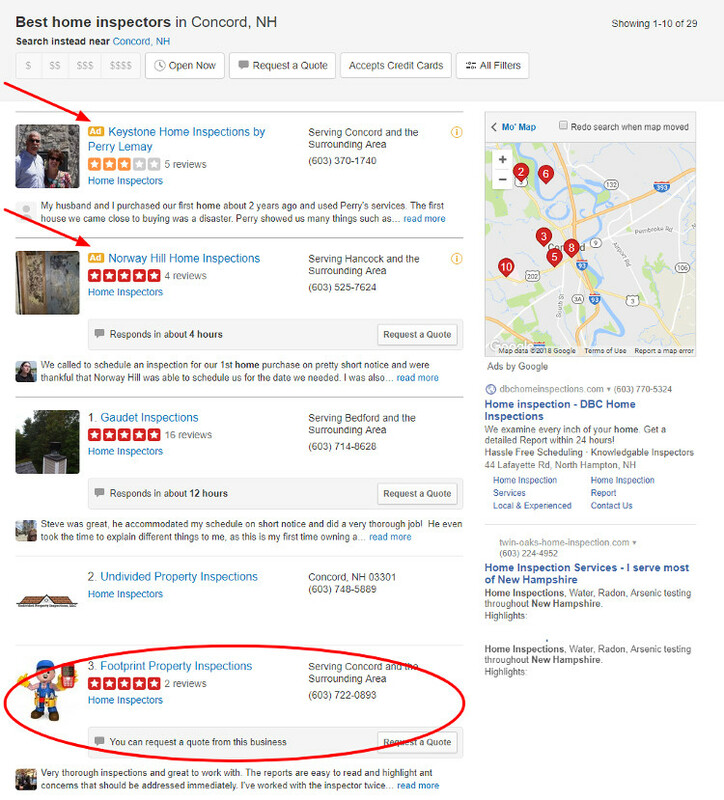 One thing to think about are the home inspection companies that are at the top of the search engines with no reviews? If they don’t have any why don’t they? Maybe they are afraid of what might be said. Our company does not have a lot of reviews on Facebook. To be honest we have not had much of presence on Facebook. Now we are concentrating on growing our community. A popular part of Facebook is “liking” things. This probably is more popular than writing a review for a company because it is very easy to do. You can check us out Footprint Property Inspections LLC Facebook. The reviews found on Google and Facebook I feel are the most unbiased reviews. As you keep reading you find the companies that most likely have some type of financial gain for getting reviews for the home inspectors. I have to admit I do not have much for reviews on Yelp. At the moment I only have two that are shown at I do not know if there are more. This company is very aggressive and contacts me practically every month of the year to do some advertising with there company. Of course, if you pay for this advertising they will put you at the top of the list for home inspectors on their site when you do a search for home inspectors NH. What I do like is they will put a little logo that does say that the company at the top is a paid AD. You can see this in the photo capture. The search below was home inspectors Concord NH. You do see my company at the bottom of the review section. But unfortunately, I won’t be at the top unless I am a paid customer. Don’t get me wrong Yelp is not the only one that does this. Look at Google, for example, all the adds on top of a search are for Google paid adds done through Google AdWords. 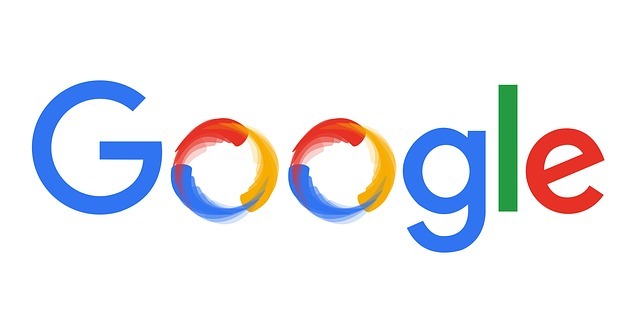 But with google, you will see the company in google maps with there reviews and this I believe is done organically. You also have a shot with google for adding good content to your website they might give you a bump in organic search. You can find my reviews on Yelp, I can tell you these reviews are correct and I remember the customers. This one I do not have reviews from because I am not a member. One thing you need to consider is that companies like Home Advisor are really lead-based companies for the Contractor. I think they do some background to make sure you’re not a felon etc, but really these companies are designed for lead generation. Home Advisor used to be Service Magic but it had a really bad reputation. The leads were very expensive and they were not good. I used there service years ago. The company made a big change with going with a new name. I can say the best part of these reviews is that they are verified so at least you know they came from the customer. 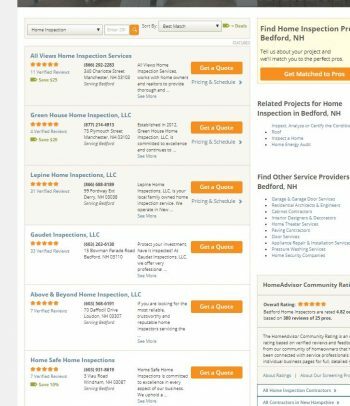 One thing that I think is strange look at the screenshot of home inspectors Bedford NH below. Why are all the reviews 5 stars? So nobody had a bad experience with all these companies? This company is similar to Home Advisor with the same idea as it is a lead generator for the company. I pay for leads from this company. They follow up with the customer after how they felt about the service. The beauty of these reviews is they are verified. The way it works is Thumbtack is found in search and when you enter your info we get a chance to respond to the lead. If we respond we get charged even if we do not get the lead. 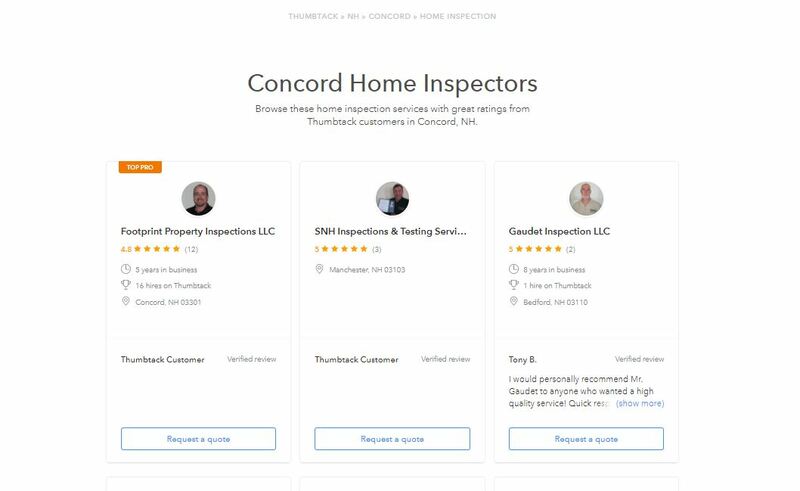 As you can see below this search was home inspectors Concord NH on google. What comes up on Thumbtack is a list of home inspectors in the area. As you can see I am at the Top of the list! Also, I am listed as a Top Pro. 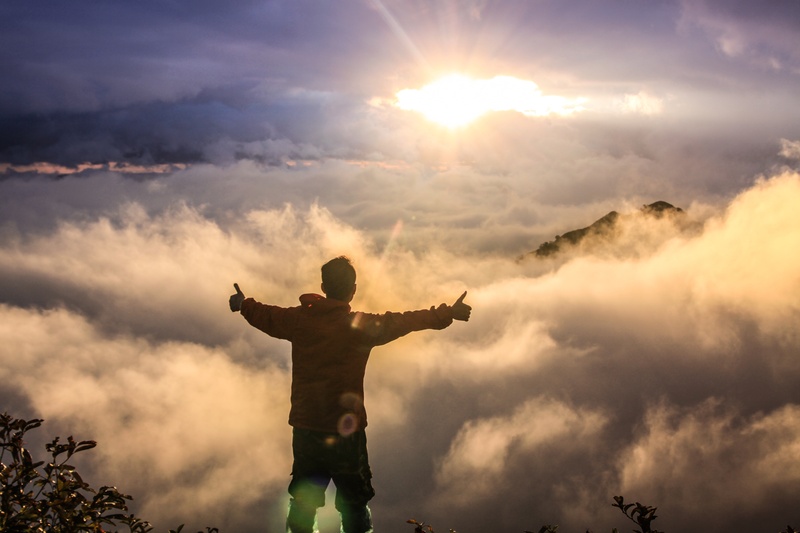 You might be wondering what this means…I have so many years in the business, I have been hired so many times on Thumbtack and I have verified reviews with a Great rating. You can read my Thumbtack reviews. These guys again are the same idea as Home Advisor and Thumbtack. In the end, they are more involved with bringing leads to the business and not really vetting the home inspector. These guys also reach out to me constantly throughout the year to pay for them and a membership. So who do you Trust to find a home inspector? I say it is very hard to choose a home inspector from the reviews that you find online. If I was to base my decision on others reviews I would read the reviews carefully to see if they are really legit. When you read a review and it says ” Great Job” and that’s it, I would worry that the review was not legit. If the review reads something like ” Home Inspector did a great job going over his findings even though the dog from the seller was barking the whole time”. This would tell me that most likely the review was legit because who would make a fake review like that. Personally, I can say that all my reviews online are correct and not fake. I search my company all the time on Google to make sure what is being said about me and my company is correct. My reviews are important to me and I take pride in my reputation of me and my company! If you have a friend that recently had a home inspection ask them. Don’t forget your Realtor. A lot of Realtors really look out for there clients interests. These Realtors have seen a lot of home inspectors in NH. So if you trust your agent and I hope you do then ask them for a referral. I feel you should have a collaboration of different sources to pick the home inspector that you will go with. Remeber not all inspectors are created equal! If I was to choose a home inspector I would base my decisions more on these factors. How many years in the Home Inspection Business – If the Company has been around for more than 3 yrs then most likely they are doing something right. I can say that there is a lot of competition out there and if you are not on your game your home inspection business is not going to make it. Read the Bio – What is the home inspectors background? Most home inspectors did not start out in the industry. If the companies website does not have a bio of the home inspector I would run for the fences. If someone refers a home inspector to you google them to find out what their background is. A good place to find this info is no LinkedIn. I’m sorry but some home inspectors are very adamant that you don’t need to be in the trades in the past to be a good home inspector. I would say that in most cases a background in the trades is a huge bonus that not a lot of home inspectors can say. Not all trades are equal, say the guy was a painter then maybe he would not have a lot more knowledge. When you hire me Bob at Footprint Property Inspections you get a guy that built homes, sold homes, invested in real estate and advised people on flipping properties and has been around it his whole life! My bio. 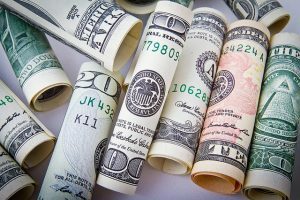 The cost of the home inspection- This is very important. If the NH home inspector is charging $250 for a single family home that is 2,000 sqft then I would be concerned. You get what you pay for and if someone is charging that cheap he is trying to get business and most likely is a newbie and possibly has not much experience. There is also the other end of the spectrum with the home inspector that is going to charge $1000 for the same home. I am not sure how these guys even stay in business without being somewhat competitive. I have some great blog post like what does a home inspection cost, the average cost of home inspection. What do you guy’s think? Have you hired someone from a review before and how was your experience? Do you have any experience with these companies that put out reviews?